IN 2016, SUSAN G. KOMEN ANNOUNCED A BOLD GOAL TO REDUCE THE NATION’S BREAST CANCER DEATHS BY 50 PERCENT BY 2026. Local Komen Affiliates support the Bold Goal by working to improve access to quality and timely cancer care for the underserved. 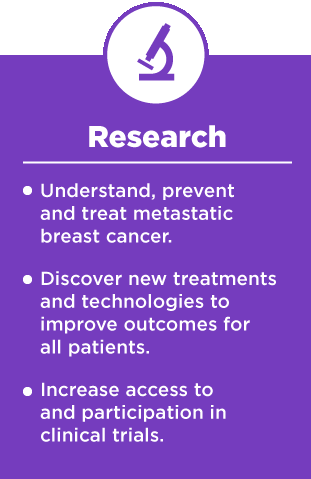 And nationally, enhancing Komen’s research focus on lethal breast cancers. 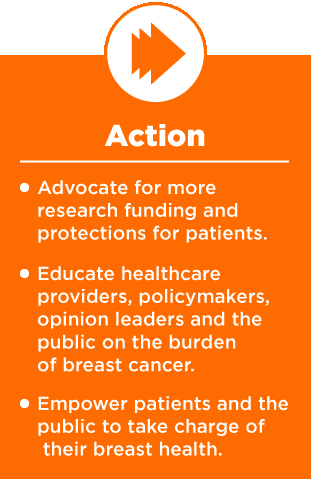 People die of breast cancer for several reasons; a lack of high-quality breast cancer care accessible to everyone, and a lack of treatments for the most aggressive and deadly forms of this disease. Susan G. Komen Northern and Central California (Komen NCCA) is taking direct action to help solve these problems and reduce breast cancer deaths by half in the U.S. within the next decade. Beliefs and approaches to diagnosis and treatment vary greatly, in part due to differences in cultural norms, health care systems, and economic conditions. There is no single approach to breast cancer. Susan G. Komen® Northern and Central California aims to achieve health equity for all people by collaborating with local non-profit organizations and health systems, including Federally Qualified Health Centers (FQHC), Rural Health Clinics (RHC), employers and mobile mammography providers in our twenty-nine county service area to implement innovative programs aimed at increasing awareness, education, screening, and quality access to care. We will strengthen networks and replicate successful programs that can be implemented on a larger scale to ensure a Continuum of Care. 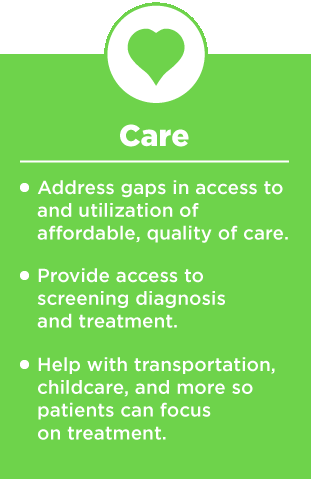 The Continuum of Care has four stages: Screening, Diagnosis, Treatment and Follow-up Care. 2,943 women provided with mammogram screening access. 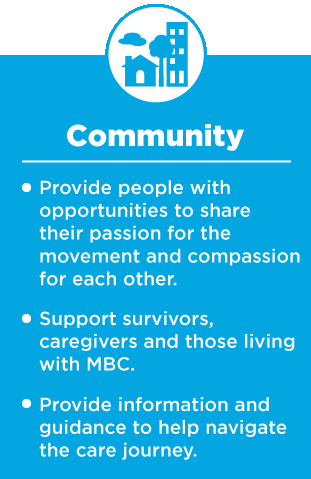 7,484 individuals provided with breast health education.